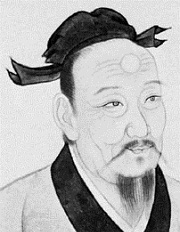 During the Warring States Period (475-221BC)，there lived a scholar named Gong Sun Long（公孙龙）. He loved to recruit talented people to circle him around. He often showed off how many skilled person he had had and said,"A wise man should be good at accept anyone with a specialty." One day, a dirty man in rags came to see him and said to him:"Can you lodge me? I have a special talent. " "What is your skill?" Gong Sun Long asked curiously. "I possess an extremely loud voice and no one can shout as loud as I do." "That is interesting" the scholar said. Then he turned to his followers and asked," Any one who thinks himself to be gifted at shouting? " None of them answered "Yes ". 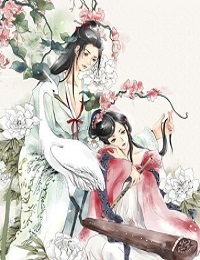 So Gong Sun Long happily took the man in. Some days later, the scholar and his followers went on a trip. they stopped by a wide river and found the ferryboat was on the other side of the river. None of them could get the ferryman's attention. Suddenly, Gong Sun Long thought of the new guy he just recruited and turned to him, asking"Can you give a shot?" The shouting expert realized it was the best opportunity to use his skill. So he shouted to the ferryman at his top voice. His voice was so loud that everyone felt as if they had just heard a thunder. As to the absentminded ferryman, he came to fetch his passengers right after the man finished shouting. Gong was very happy because his theory was proved to be true again. 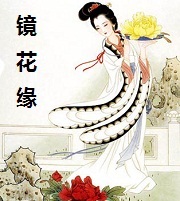 This idiom of Proficiency In A Particular Line--Yi Ji Zhi Chang is from "Flowers in the Mirror (镜花缘)",a 100-chapter fantasy novel written by Li Ruzhen in Qing dynasty.Now people use it to describe anyone who is specially good at something.